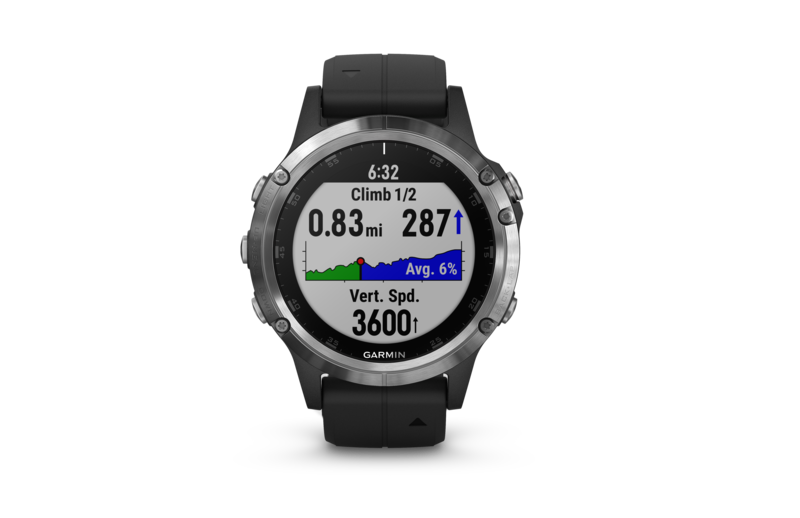 For athletes and outdoor adventurers, the fēnix® 5 Plus multisport GPS watch is the high-performance way to beat yesterday and bring your maps and music along. 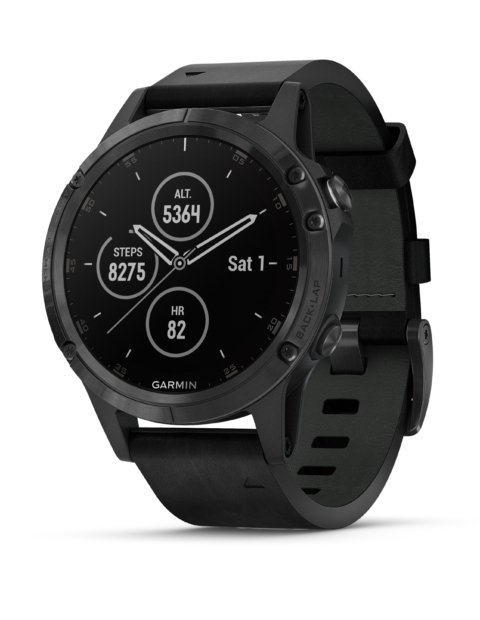 This rugged, premium-crafted watch features routable color mapping, wrist-based heart rate1, storage for up to 500 songs and the Garmin Pay™ contactless payment solution. 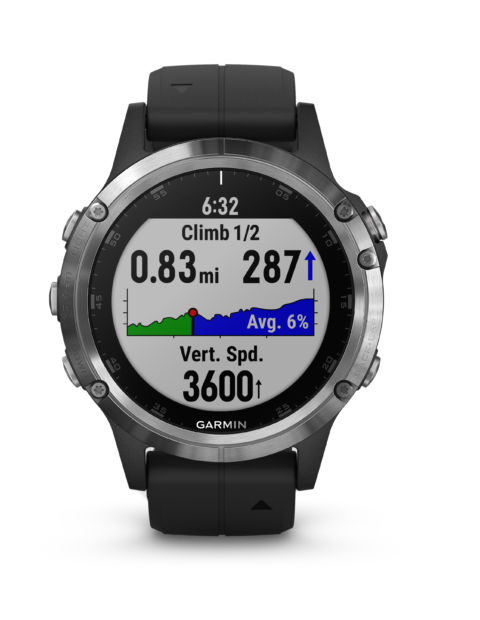 For athletes and outdoor adventurers, the fēnix 5 Plus Series watches are the high-performance way to beat yesterday and bring your maps and music along. 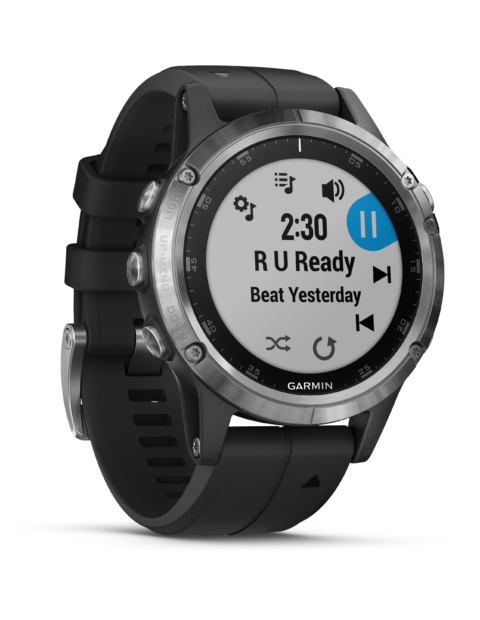 These rugged, premium-crafted watches feature routable color mapping, wrist-based heart rate, storage for up to 1,000 songs and our Garmin Pay contactless payment solution..
Got a power song that gets you pumped up for a race or tough workout? 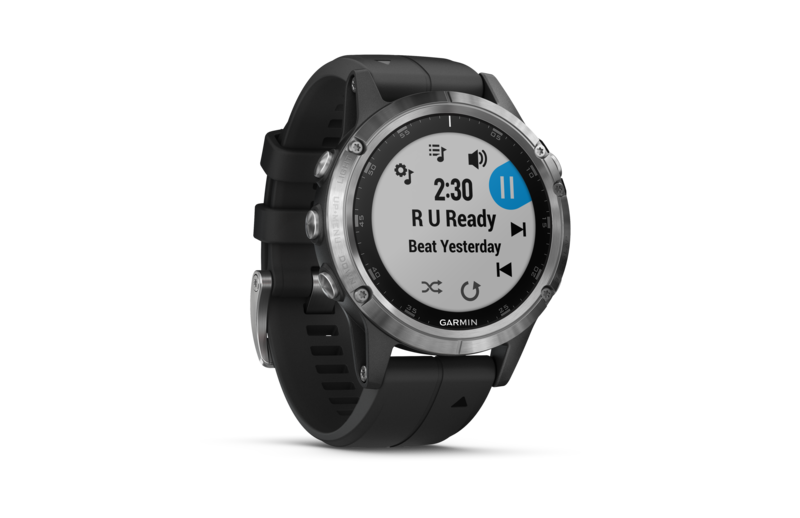 Now you can have up to 1,000 songs stored right on your watch, for phone-free listening on the go. 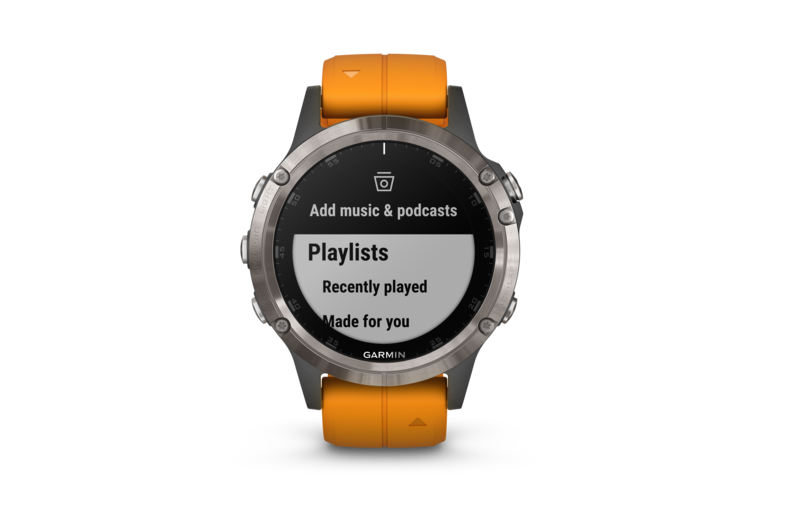 It’s easy to transfer music from your computer and then queue up your favorite playlist for easy listening through compatible Bluetooth headphones (sold separately). 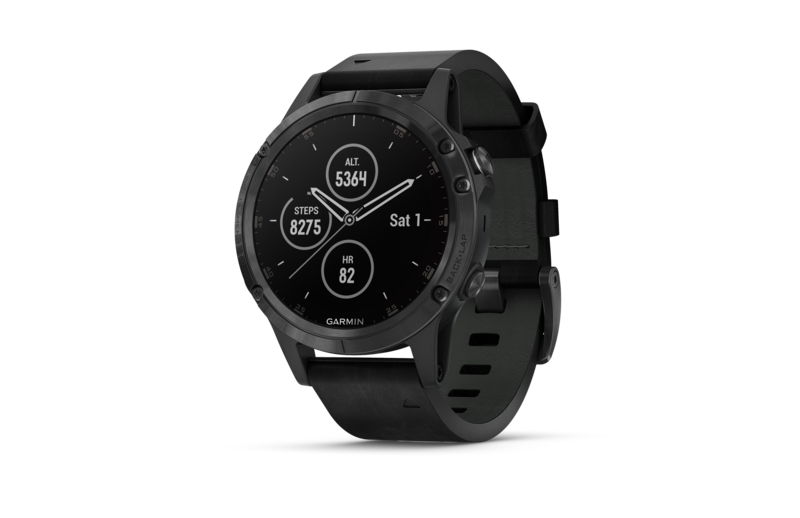 fēnix 5 Plus Series is also compatible with some of your favorite streaming services — and more are being added all the time. 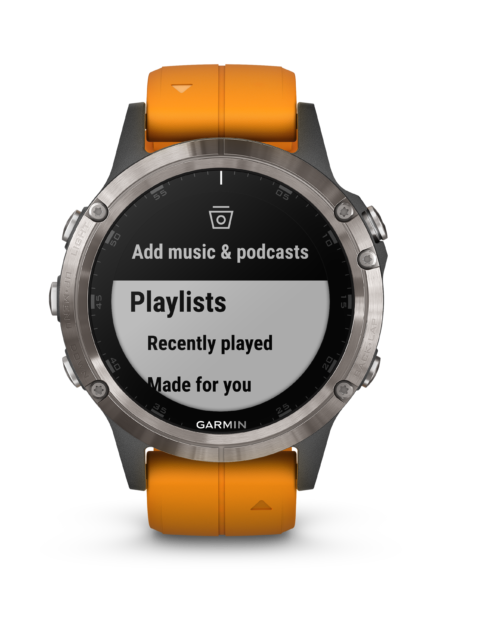 If you have a premium membership to these compatible services then every track in their massive library is yours to download for offline listening on your watch. And check back soon to see who we’re adding next to the list.